WINNIPEG, MB – Torque Brewing has announced details of a new autumn seasonal that will be released next week. Prost! 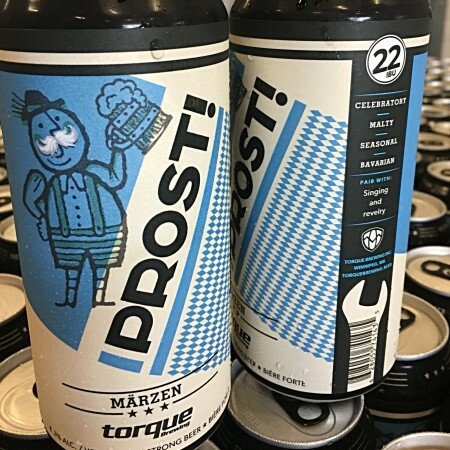 Märzen (6.3% abv) is a malt-forward lager inspired by the traditional beers of Germany’s Oktoberfest. Prost! will be available in 473 ml at the Torque taproom and store, as well as at select Liquor Mart locations throughout Manitoba. It will also be featured at the Liquor Mart Oktoberfest beer festival taking place in Winnipeg on October 6th.